The property transaction and conveyancing costs. People buy and sell homes for a whole number of reasons. Maybe they’re younger and starting out of their own for the first time. Maybe they’re playing the property market by buying places, fixing them up and selling them on. Perhaps their family is growing in size and they need more room. Perhaps they’ve found a new job and need to relocate. Maybe they’re older and want to downsize. Other factors include things like health, retirement, changes in relationships, and so on. Everyone’s situation is unique. Likewise, no two property transactions are exactly alike either. When it comes to transferring the ownership of property (that’s the conveyance bit), establishing whether the title to a property is clear is a relatively straightforward process in New Zealand. That’s the process to find out whether the person who is selling the property to you is actually entitled to sell it, plus details about the type of property title, for example, is it freehold or leasehold and the implications of that. However, while establishing whether a property’s title is clear might be relatively simple, the end-to-end conveyancing process is seldom a simple sell/buy transaction. There are multiple parties involved. In addition to the buyer and seller themselves, there are the seller and buyer’s respective real estate agents, financial institutions, mortgage brokers, insurers and local authorities. Depending on the property itself and/or the nature of the transaction, there could be additional parties involved, such as body corporates and tenants. It’s, therefore, wise to get professional help to look after the legal side of the transaction. It’s then the task of your conveyancing lawyer to ensure that everyone involved in the transaction is dealt with at the right time and in the right way so that the deal can be completed successfully. This will leave you free to take care of the literally thousand-and-one other things that need to be done when buying a property. Buying a new home is an expensive business – in fact, it’s probably the biggest single financial transaction most of us will ever undertake in our lives. While we probably all know this, there are additional activities and costs, including legal costs, associated with a property purchase that we sometimes still overlook. If you’re on a tight budget, it’s even more important that you get a handle on all the potential costs upfront so there are no unpleasant surprises. It’s reasonable that most people would want a good degree of certainty about what they are going to have to pay for any transaction. This is no different in the case of a legal bill, including the conveyancing cost. However, just as no two property transactions are the same, sometimes no two conveyancing costs are the same either. If often will depend on exactly what is required. Therefore, the cost of conveyancing done by a lawyer varies from lawyer to lawyer and practice to practice as there’s no fixed scale for conveyance charges. So, shop around or ask family and friends if they can recommend anyone. Just remember, cheap conveyancing is by no means the best. Your ideal is to find a lawyer who is there for you; you want someone who will return your calls, is not always out at meetings, and who is up to speed on all the intricacies of conveyancing law and the conveyancing process. What are the conveyancing fees for my specific property transaction? Is the fee fixed or will it increase or decrease according to the work involved? Can the firm act in connection with the mortgage lender? If so, does it charge extra for this? If the firm does not act as the mortgage lender, what will the mortgage lender’s legal costs be? Are there any charges for ‘disbursements’ or any ‘extras’ and, if so, what might these be? Is there an extra charge for arranging to transfer the money on completion? • Are there any other charges whatsoever? Who will actually be doing the conveyancing? Will it be a lawyer, a member of the team qualified in conveyancing or an unqualified member of staff? Once you’ve instructed your lawyer to act on your behalf in a property purchase, there’s a range of actions they can manage for you to ensure a successful conclusion to your property purchase. Draft an Agreement for Sale & Purchase for you if you are buying the property privately. If you are using a real estate agent, your lawyer can check the contract for any issues and advise on any conditions you should include before you sign it. Do the necessary Title searches. Ensure any conditions in the Agreement for Sale & Purchase are satisfied within the time allowed by the Agreement. Order a Land Information Memorandum or ‘LIM report’ from the relevant Council. This is a very important document as it describes the title of the land, outlines the official boundaries and buildings, the changes allowed to buildings, and any flood risks. Arrange for a building inspection report on the property, if required, to ensure the property is structurally sound and highlight anything that needs fixing. Arrange for a registered valuation of the property – this is often required by the mortgage lender in order for them to approve finance on the property. Apportion council rates and body corporate levies where applicable. When you purchase a property these fees are apportioned, which means you have to pay the seller for any rates they have paid in advance. Prepare the settlement statement and organize settlement to take place on the agreed settlement date. Confirm insurance has been arranged for the property from settlement or possession date. Complete the electronic transfer of the property ownership to the new owner. A contract to purchase a property is a legally binding document – so, you cannot simply change your mind once a contract is signed, unless there are special conditions. Therefore, before you sign any contract, make sure you get the right conveyancing advice from someone you can trust. Please contact us to discuss the full range of legal services available to you, including a comprehensive quote of the conveyancing costs for your specific property transaction. 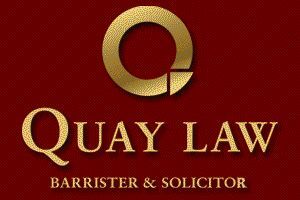 Your local Auckland law firm – Quay Law can help you with all your conveyancing need. Get in touch with your conveyancing laywer if you need any legal advice, or want to discuss the full range of legal services available to you, including a comprehensive quote of the conveyancing costs for your specific property transaction. Call us now on +64 21 043 2373 or visit http://lawyerinauckland.co.nz/ to find out about our legal services. Best Conveyancing Lawyer For Me In Today’s World: What Is Right For Me? Foreign Buyer Ban NZ: What Does It Mean For You and the NZ Property Market? Buying a property? A property auction – how does it work? What is a property encumbrance and how does it affect the sale and purchase of your property?